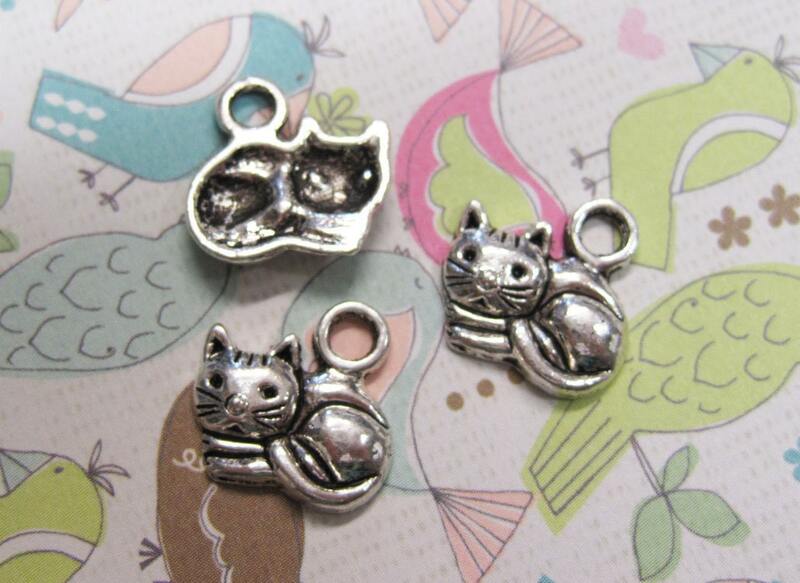 10 antique silver finish sweet little sitting kitty charms. They are single sided and measure 15mm x 13mm. Add a jumpring to easily attach to charm bracelets, book marks, key chains, zipper pulls, necklace chains, earwires and more. These adorable sleepy kitties are made of zinc metal alloy and are lead and nickel free.